Proton beam therapy is a high-precision form of radiotherapy that uses protons rather than X-rays to fight cancer. 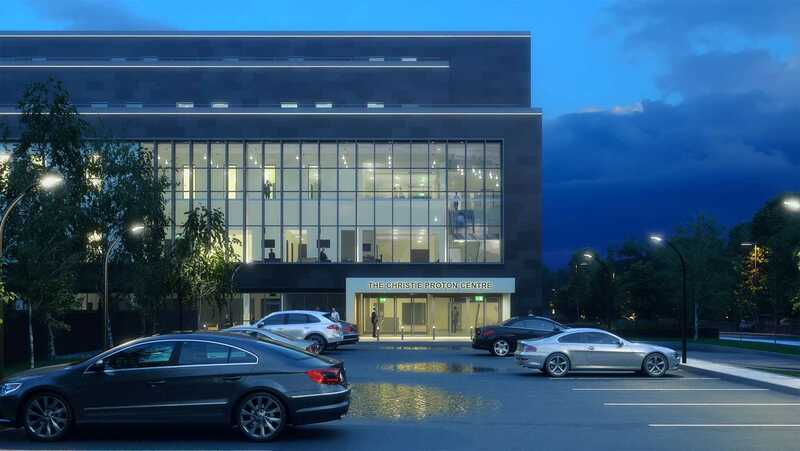 The creation of the first proton beam therapy centre in the United Kingdom required a design team with deep knowledge of the science behind this technology and potential risks. 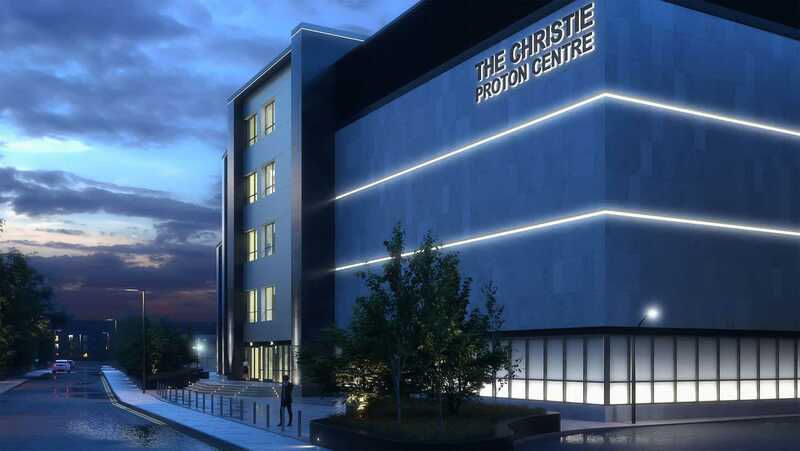 The Christie NHS Foundation Trust joined teamed with Central Manchester University Hospitals NHS Foundation Trust and Salford Royal NHS Foundation Trust to bring one of two national, high energy proton beam therapy centres to Manchester. The 133,000 square foot center contains proton beam treatment, clinical support spaces, and cancer outpatient and inpatient departments. The facility houses three fully rotational gantries and a research room can be refit as a future rotational gantry treatment room. The design approach focused on a patient experience that creates a warm and inviting space that reduces fear and anxiety. 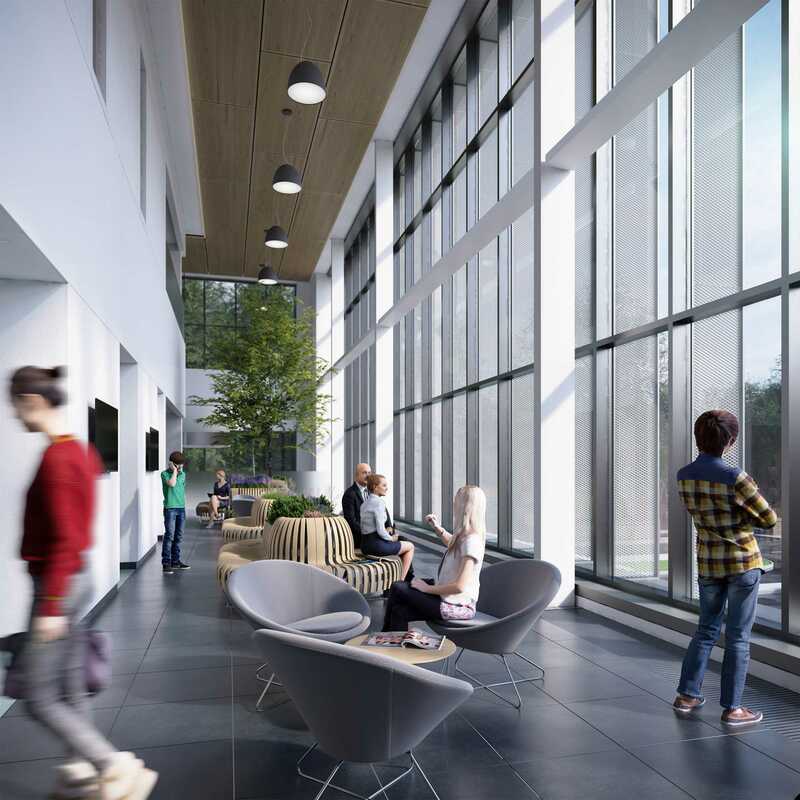 Waiting spaces positioned on external walls and courtyards offer natural daylighting and landscaping. There are three distinct waiting and clinical zones for adults, teenagers and young children. The adult zone is designed as a social hub, with a glazed waiting area that integrates light, vegetation and a café/kitchen space. The teenage area is a separate lounge space specifically designed to cater to that age group. The children’s waiting and clinical areas are separated from adults and are designed to safeguard children and reduce the anxiety of pediatric patients and their families. The five-story building is situated prominently near the hospital’s main entrance, providing an opportunity to feature signage, lighting and cladding materials that showcase the building. NHS patients can now receive proton beam treatment without having to travel abroad, which reduces stress levels and eliminates the potential for infection during travel. The dedicated proton beam research room will allow for further development of the procedure. The center will treat 650 patients a year, each with treatments lasting five days per week over six to eight weeks.